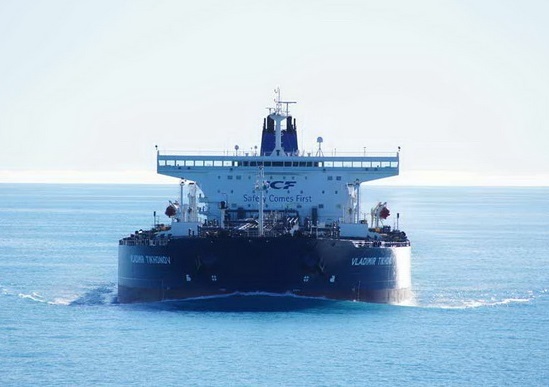 The Russian state-owned shipping company Sovcomflot successfully emitted 7-year Eurobonds for 750 million USD at 5.375% per annum. The company succeeded to sell debt for the first time since 2010, after improving its credit rating and report stable finance statement. During the collection of price guidance applications, the Eurobonds declined several times, as the initial benchmark yield of securities amounted to about 5.75%, then it was reduced to 5.625% and finally was set to 5.375%-5.500%. Most of the issued Eurobonds of Sovcomflot were purchased by foreign investors, as more than 120 investors submitted application for buying of debt securities of state-owned companies. “About 70% from the new Eurobonds issue were purchased by foreign investors, while Russian buyers were only 30%”, said Andrey Solovyev, who is Debt Capital Markets head of VTB Capital, which is organizing the transaction. “Sovcomflot succeeded to place Eurobonds at the same rate as in 2010, with the same duration – 7 years. It really is a great success”, added he. At the same day, there was another last Eurobonds issue of steel producer Evraz, but according to experts the both issues did not affected each other, as were focused on a few different groups of customers. The both companies succeeded to raise totally 1.7 billion USD. Sovcomflot is the largest shipping company in Russia, specializing in petroleum and LNG shipping.